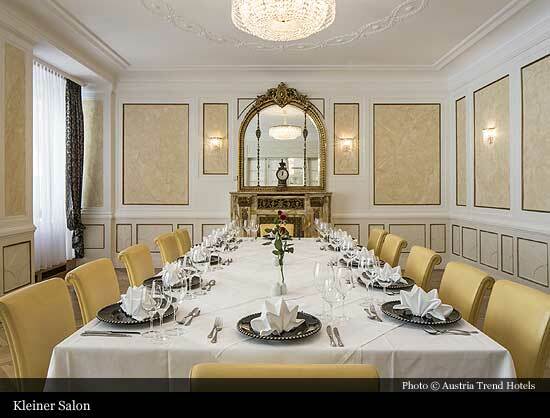 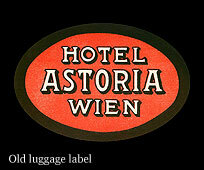 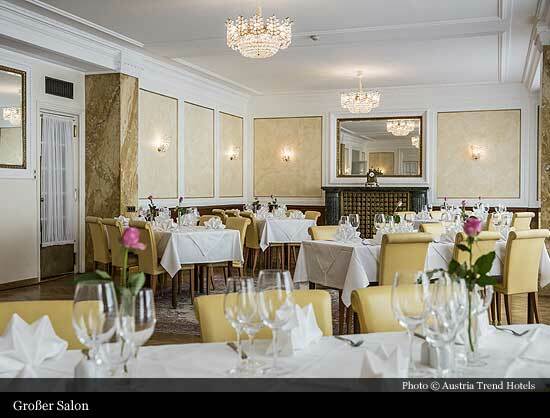 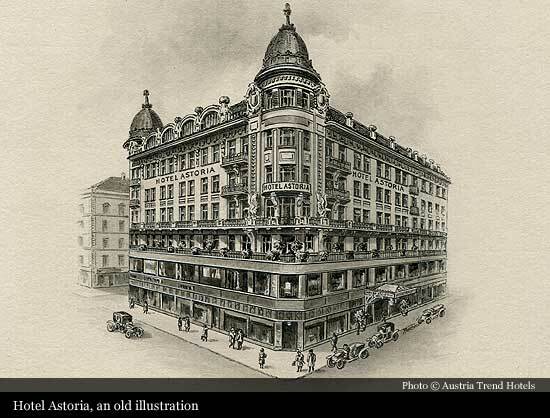 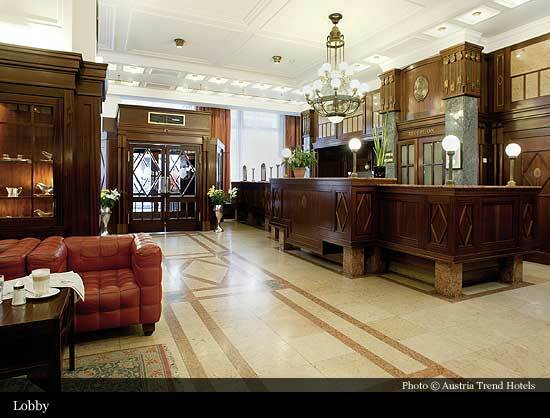 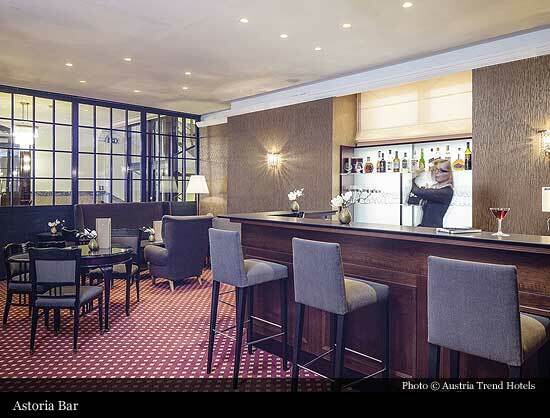 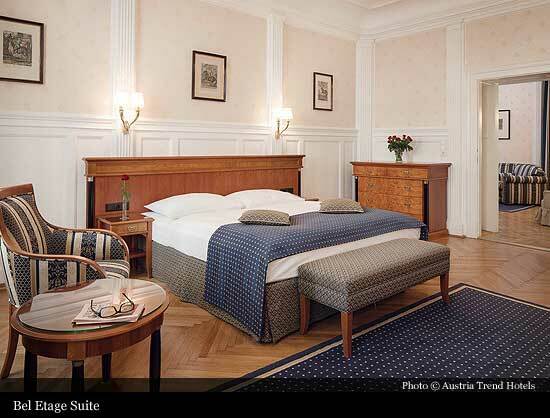 Built by the hotelier Anton Hanl, the Astoria was the most modern hotel in the Austrian capital when it opened in 1912. 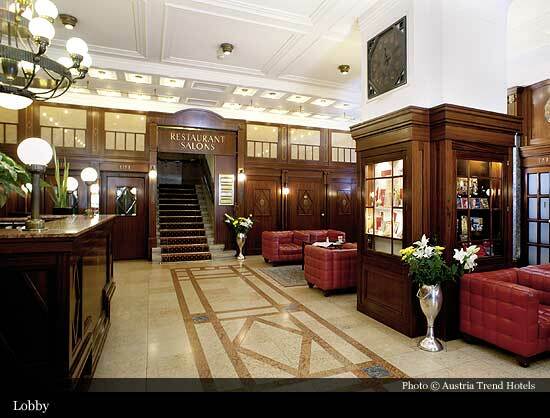 Over the years it provided accommodation for Austrian and foreign aristocrats, diplomats, famous scientists and politicians as well as international stars of stage and screen. 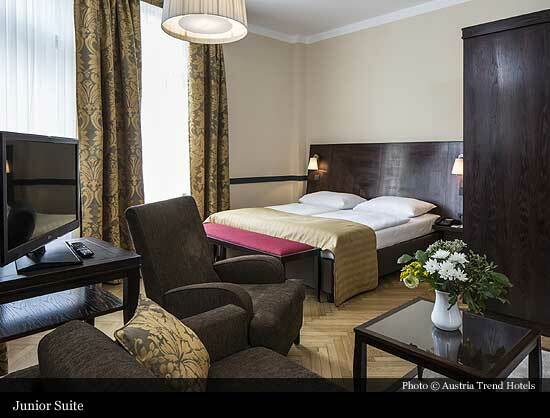 Today the recently renovated hotel offers all the benefits you would expect from a contemporary four-star hotel, in the best location you could wish for. 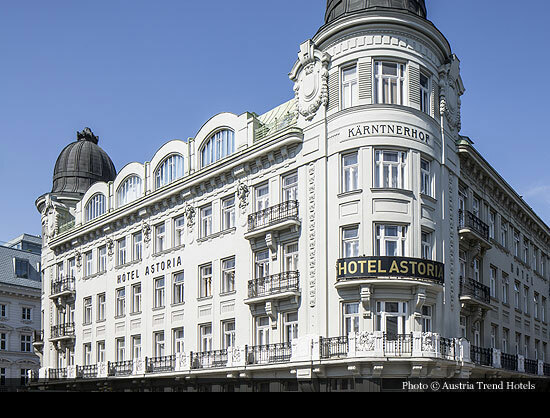 The Hotel Astoria is situated on Vienna’s most popular street for shopping and taking a stroll, Kärntner Strasse, which runs between St. Stephen’s Cathedral and the State Opera. 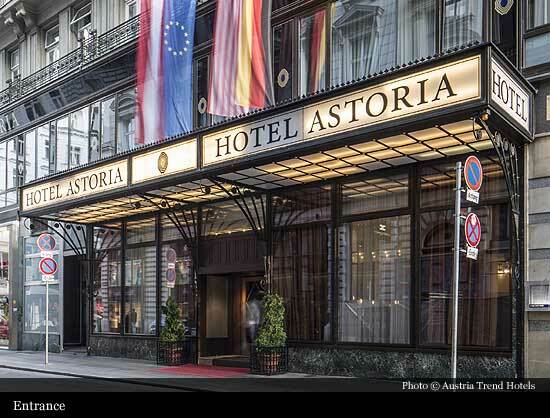 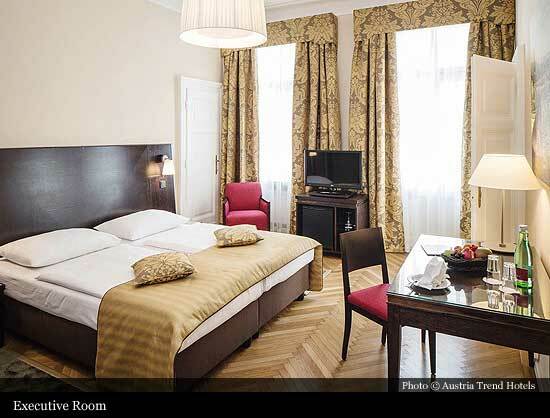 At the Hotel Astoria one can experience the charm of imperial Vienna in its heyday as one of the world’s leading cultural hotbeds, without missing out on any of the things that make this pulsating city what it is today. 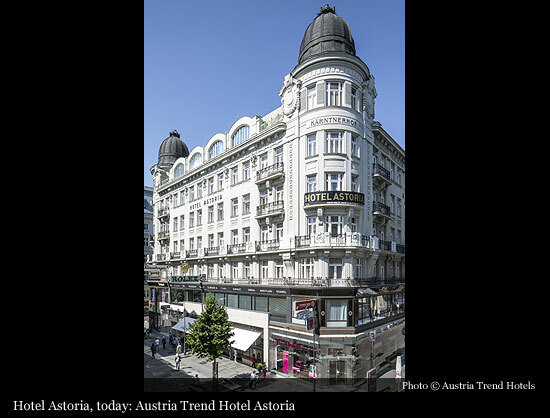 Rich in tradition, this turn of the century jewel bridges the gap between yesterday and tomorrow with a combination of charm, elegance and Viennese flair.